If you’re looking to maintain your bottom line, asset tracking is a must. Here are some tips for those looking to track company assets — and protect the financial future of their company. This may sound complicated, but it doesn’t have to be. When it comes to keeping your company’s inventory and assets secure, invest in an asset tracking solution. While keeping physical documents for assets may be a viable strategy for a very small business, most businesses benefit from a cloud-based asset tracking program. This allows employees, both in-office and remote, to see the status and location of any device at any time. Inventory control software is an essential part of this process. With software like Fishbowl, users can streamline their work order process and monitor each sales order, including stages of production. Automation software removes the guesswork from inventory management and empowers business owners by helping them track any item, order, and more with ease. Hiring a Security Team: Having security professionals to monitor high-value assets and inventory throughout the day is a very effective way of curbing theft. Justifying the cost of a full security team may seem difficult, but it is necessary to weigh the cost of security against potential losses. If hiring an internal security team is off the table, consider outsourcing to a security firm. Security Cameras: When used both outside and indoors, security cameras enable managers or external security professionals to monitor traffic and record suspicious behavior. Place cameras near any areas that house valuable assets, including garages, safes, rooms with computers or other high-value technology, or storage areas for inventory. Asset Tags: If an asset is never intended to leave the company premises, asset tags can be used to mark and track specific high-value items. Even if such assets are lost, they can be located via GPS. If you prefer to make sales online rather than in-person, don’t feel immune to potential theft risks; employee theft is also a concern. Background screening and hiring policies should prevent your business from hiring individuals who have engaged in fraud in the past. Furthermore, rules regarding how assets can be handled need to be established and regularly communicated to every employee. If an employee leaves the company, be sure that they no longer have access to sensitive information or valuable assets — change passwords and locks as needed. Regardless of the preventative measures you take, some losses are inevitable. When it comes to the question of repairing or replacing lost or damaged assets, consider how long will the asset be relevant. For example, if a laptop has been damaged or has depreciated in value due to its age, it may be more cost-effective to simply replace the device than to shell out for repairs. If an asset is lost, question if it is absolutely necessary to replace — and, if so, if there is a comparable alternative for a lower price. 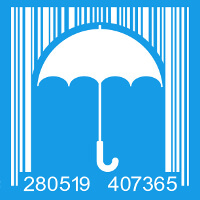 These are a few steps business owners should make to reduce the financial strain of lost or stolen inventory. 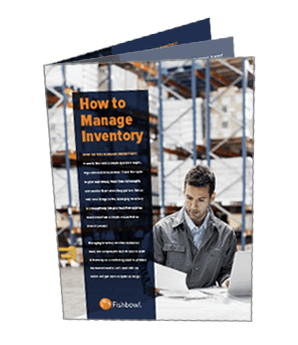 If you’re interested in reading more about inventory management strategies, check out this Fishbowl article.